The sales executive was excellent. I was treated very well, never felt pressured and he made sure I was completely happy with the car. Many thanks to Andrew at Farnell Jaguar who was a fantastic person to work with from start to finish! Looking for a Jaguar in Bolton? At Farnell Jaguar Bolton, we're committed to providing a truly outstanding Jaguar experience. With knowledge, experience, and an unbeatable selection of Jaguar cars for sale, Farnell Jaguar is the place to be for anyone looking for a great deal on a Jaguar. We've got a full range of new Jaguar cars to browse in our showroom, including the new XE, XF, XJ and F-Type. Alongside our well maintained and highly popular used stock, we know you'll find a Jaguar you love at Farnell Jaguar Bolton. 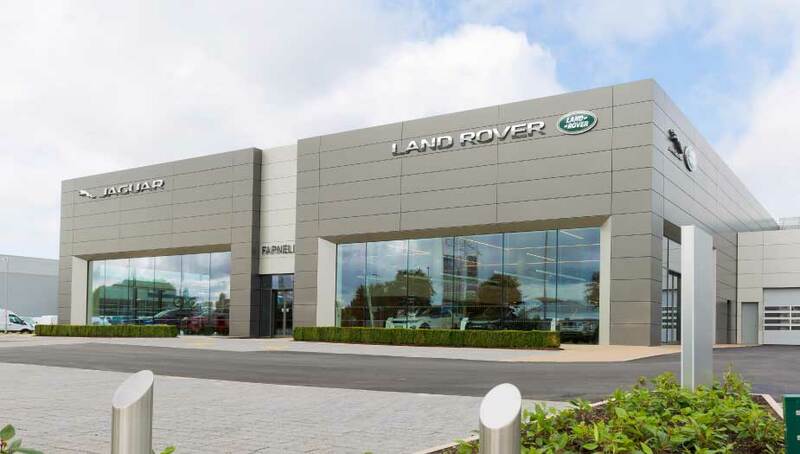 With professional and passionate staff throughout our dealership, whether you're interested in purchasing, our servicing facilities, or just want to find out more about Farnell Jaguar Bolton, we've got something for you. Our sales team will be happy to show you a range of cars at a price that suits you, while our trained technicians will be able to talk to you about the Jaguar MOT, servicing, and spare parts services we're able to provide to you. At Farnell Jaguar Bolton, we can provide a stress and hassle free Jaguar showroom experience. We'll help you out with whatever it is you'd like, and our team will be happy to answer any questions you might have. If you see a Jaguar for sale you like the look of, we'll be able to provide a test drive, at a time and location that suits you best. So, if you're interested in purchasing a new or used Jaguar in Bolton, why hesitate; simply get in touch with Jaguar Bolton today. Come to our Bolton Road dealership, call up our sales team, or start your search online right now. We're easily accessible from Ramsbottom, Haslingden, Oswaldthistle, Henden Bridge, Bury, Chorley, Todmorden, Oldham, Littlebrough, Bolton, Blackburn, Accrington, Standish, Wigan, Rochdale, and further, so wherever you are we'd love to see you soon.